- Today most of the South Somalia is ruled by IGAD, AU, UN, the powerless government of Somalia controls the Capital City of Mogadishu by less than 10% of the city. The International community suggested that Somaliland government should negotiate with the shaky and powerless government in Mogadishu over its independence. The ongoing Talks between Somaliland and the powerless government of Mogadishu had finally collapsed after Somalia's inclusion of officials of Somaliland nationality in its delegation. Both sides agreed before that it would not be included representatives who originated from Somaliland, but Mogadishu deliberately included its delegation people who Somalilanders believe that they are mercenaries and are criminals from their own country. 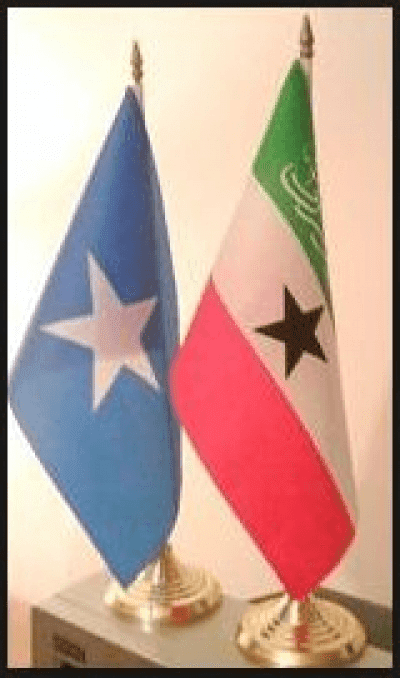 Since talks started Mogadishu took actions to undermine and jeopardise the continuation of the ongoing talks after its latest inclusion of Somaliland origins and claiming Somaliland's air control. Somaliland has every right to suspend the talks until the powerless government of Mogadishu respects its agreement which it had signed before with Somaliland. Nation of Somaliland accepted to talk to Somalia, but on condition that Somaliland's Independence and Sovereignty will be non-negotiable and the choice of the people Of Somaliland cannot be changed by anyone, because this is their self-determination. It will not make any compromise to its sovereignty. Mogadishu government should not waste their time and energy about another blind reunification between the two divorced couples. This young of Somaliland took its decision to separate from the rest of Somalia in 1991 and this is what it looks like today. Somaliland has a credible democratically elected government and is a functioning democratic state.There is relative peace and stability in Somaliland and it controls every inch of its colonial border. It has its own justice system: constitution, currency, national flag, Military forces and Police forces and relatively stable, on top of that Somaliland people are peace loving society, hate bloodshed and oppose any kind of violence, but when it comes to the national interest and their sovereignty, then they become one body, one heart and stand united for the common interest of their country. It has a very successful story and can be described as 'An overlooked African success story. Another historic and successful story of Somaliland is, it had a series of elections that have been declared 'relatively free and fair' by the International observers, on top of these successful stories, it had successfully succeeded to end its past problems by using their traditional knowledge which helped them effectively in the cause of achieving a lasting peace and what appears to be a viable system of democracy. Now the Turkish-sponsored talks had completely collapsed with no tangible progress reached. What does Somaliland need now and where can it go from here? Or does it has right to determine its destiny and future? What does the International law say about the right of self-determination? Of course the International law gives more rights on self-determination of nations, so let's have a look about the rights and duties of states and qualifications that any state should have. Montevideo Convention on the rights and duties of States. This treaty was signed at the International conference of American States in Montevideo, Uruguay on December 26, 1933 says as following. - Government and Capacity to enter into relations with other States. Of Course, Somaliland have these above mentioned qualities without asking anybody. What does Somaliland want from the International community now? Just it wants to have its own basic rights as a nation which is to join the International community once again. The International community must respect the choice of the people of Somaliland, and the right of self-determination must be respected as well. The people of Somaliland had already recognised themselves and are in a position of no return point which means that they will never reunite to Somalia again. It is totally wrong and against humanity to decide people's future on the basis to save guard some other Country's interest. Somaliland will no longer be a hostage to Somalia, because it has a right of self- determination therefore the international community must accept and grant that. This could be the right time that the International community should not overlook the existence of Somaliland. Well, Somaliland has done the right decision for the right time to suspend the talks and requested international mediation to interfere this collapsed talks. It has a very strong case to get international support as these were two countries that united illegally before without a single written document. This below is what it benefited from that failed union. Well, the people of Somaliland met catastrophic oppression, crimes against humanity, nepotism and indiscriminate killings of millions of Somalilanders including women and children. What does Somalia need now? 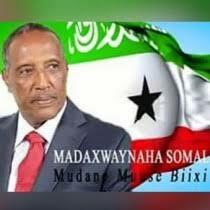 A recognised Somaliland would stand a better position to help the efforts of government of Somalia. Neither Western powers nor African union can solve their problems, but by taking the successful steps which Somaliland had taken in the past will be sufficient to solve Somali problems, because Somaliland became an African success story. It successfully succeeded to build its nation without outside help by using its historical and traditional knowledge. Somalia has a lot of job to do in the meantime: they should concentrate on building their own country, bringing back the displaced people who are suffering in the refugee camps, developing social services, health services and to restore peace and stability. It should also try to make good relationships to neighbouring countries like Somaliland, Kenya, Ethiopia, Djibouti and International community as well and finally wake up the deep dream and realise that Somaliland had already gone and will not be back again ever. Finally, the International community should understand the right of self-determination of Somaliland and should not overlook the existence of Somaliland. If the world fails to reconsider the recognition of Somaliland. It would be a great discredit to human rights as well as democracy itself.